Combine vinegar, oil, garlic salt, basil, oregano and pepper; set aside. Cook noodles in 2 quarts boiling water 6 minutes, or until “al dente”; drain. Rinse with cold water and drain well. 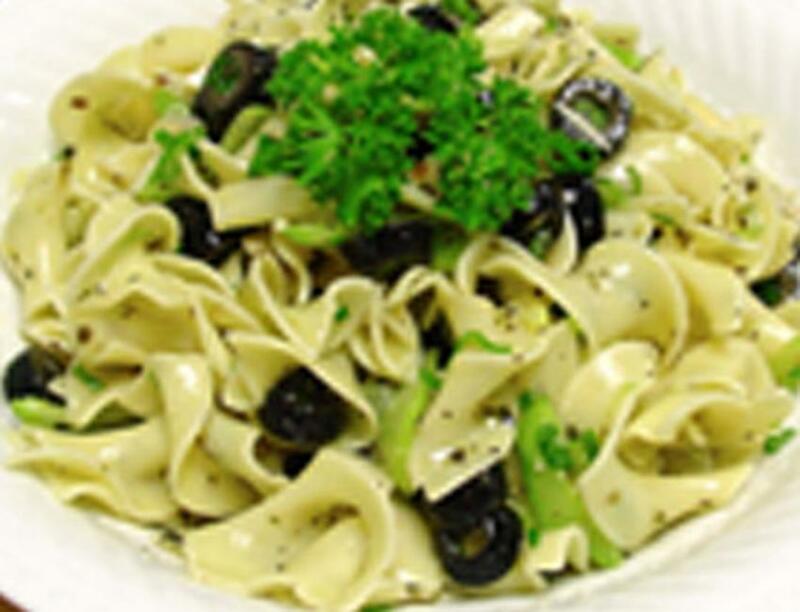 Combine noodles, olives, celery, green onions and almond in bowl. Pour vinegar mixture over all; toss well. Chill 1 hour before serving.